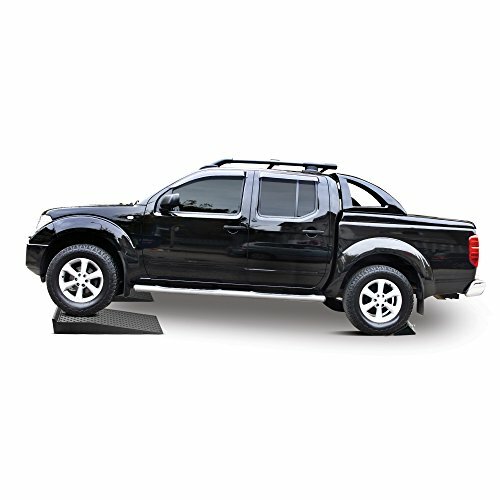 Truck and Car Ramps with wheel chocks are best suited for fast and easy oil changes and repairs on virtually all trucks, cars, SUVs and farm equipment with up to a massive 10 ton capacity. Professional grade heavy duty auto service drive on ramp set with wheel chocks for additional safety built with light weight high density polyethylene. AFA Tooling brand wheel ramps and chocks bing you lightweight portability with heavy duty safety and durability. 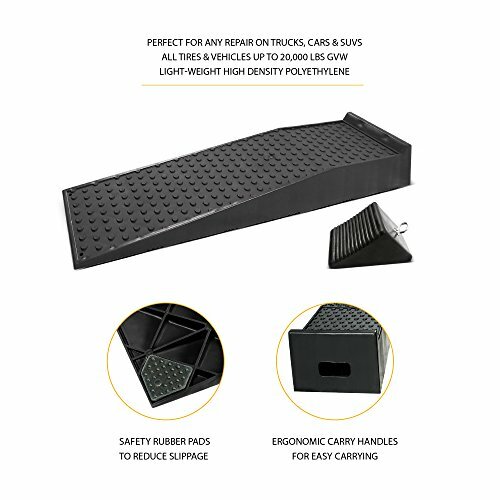 Pressure molded high density polyethylene will give you the power of solid steel without the rust, dents, dings and bending found in traditional metal ramps. The added feature of wheel chocks will give you the peace of mind you wish to have when under your vehicle. 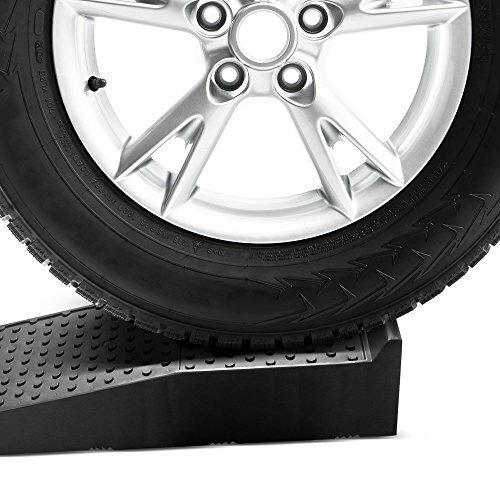 The rubber padded base and rugged tread ensure no slippage or mishaps. 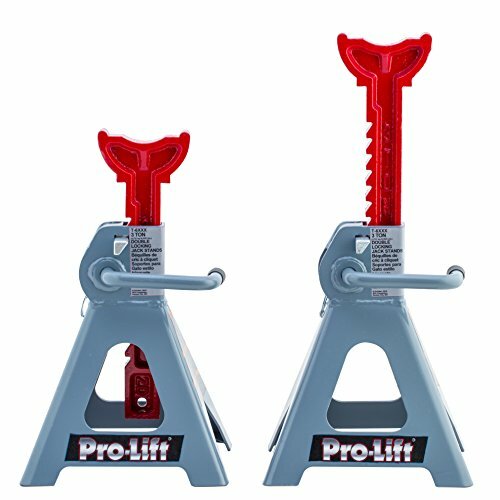 Easy to use and portability with no maintenance required for a long lasting addition to your most valuable mechanic arsenal. Buying AFA Tooling brand means buying with confidence where safety is at all times first. 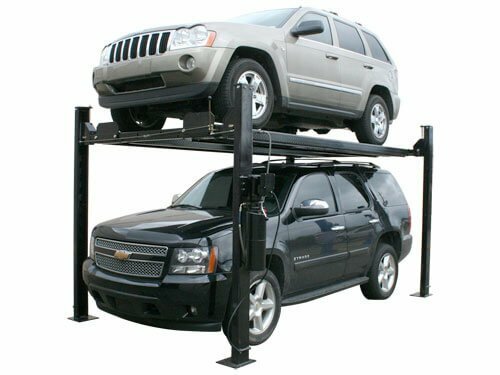 Truck and Car Ramps with wheel chocks are best suited for fast and easy oil changes and repairs on virtually all trucks, cars, SUVs and farm equipment with up to an enormous 10 ton capacity. 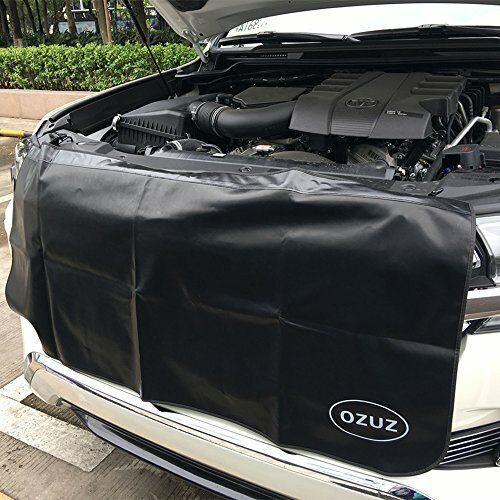 Built for rugged use with the added safety of wheel chocks to verify your vehicle stays in place at the same time as servicing. 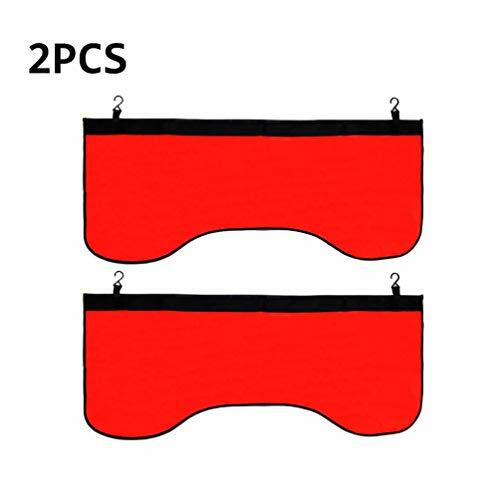 Dimensions: 47 1/4″ Long x 11 7/16″ Wide x 6 9/16″ High provide ample work room and handle easy portability. 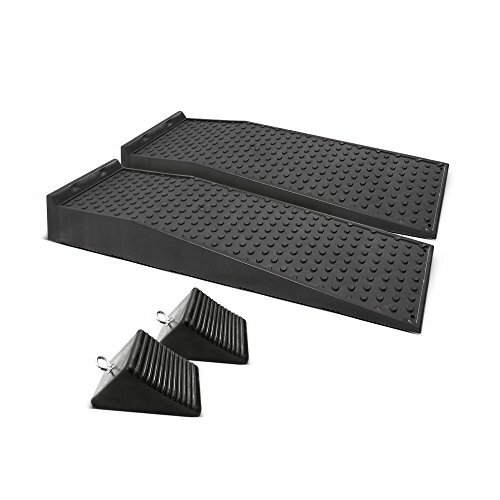 Whether in a shop or for the home mechanic, AFA Tooling Brand wheel ramps are made for day-to-day use if needed or an addition to your home mechanic should have tool set. Every vehicle ramp set is crafted with safety in mind. 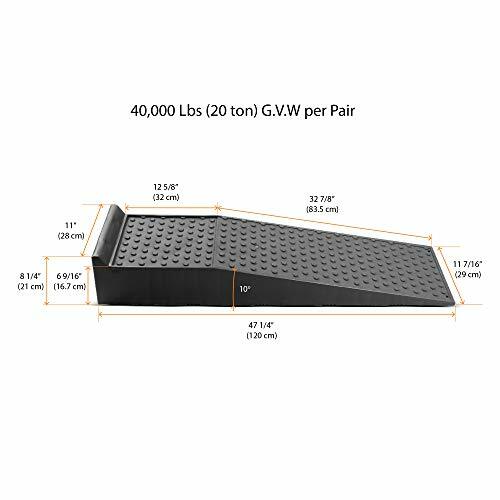 The specially designed tread grip and rubber base pads prevents slippage for all tire types and vehicle weight up to an impressive 40,000 pound gross vehicle weight (G.V.W.) capacity per set.